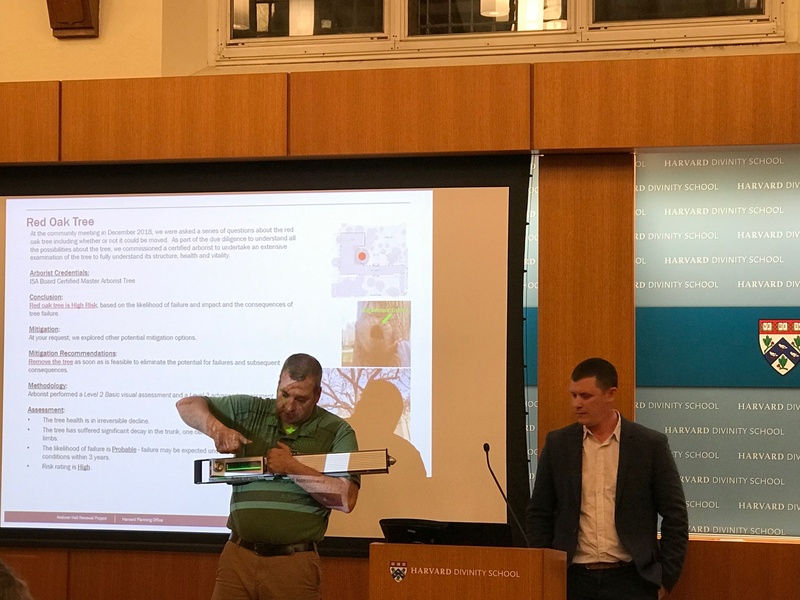 Timothy Armstrong, an arborist, gives a demonstration of the equipment used to evaluate a tree on Harvard Divinity School's grounds. Arborists have recommended that a century-old oak tree at Harvard Divinity School be removed, the University announced Thursday evening. 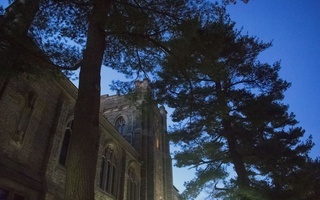 The tree's future has sparked controversy since last year when the Divinity School announced plans to remove it ahead of implementing the Andover Project, a long-desired renovation of the school’s main campus building, Andover Hall. Andrew Balon, an arborist representative from Bartlett Tree Experts, the firm commissioned by the University to evaluate the tree, examined the tree's condition. He said the tree is in “irreversible decline” and poses “high risk” for buildings and pedestrians, an assessment that validates an earlier review of the tree’s health. 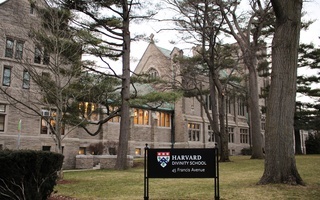 In an email sent to Divinity School students Thursday, the school wrote that “beginning immediately, access to the area around the tree will be restricted.” The email also said that overhead protection will also be installed allowing safe entry into Andover-Harvard Theological Library. At a two-hour Agassiz Neighborhood Council meeting — attended by Harvard administrators and students, along with Cambridge residents — the announcement of the tree’s impending removal elicited varied reactions from participants. While some people accepted the arborist’s assessment of the tree, many said they regretted the fate of the oak. “To think that this tree will come down just breaks my heart, but you know and I even hate to say, but if there is a silver lining, this campus’ awareness about the importance of trees has been raised,” Divinity School student Gretchen T. Legler said. “It was not what we wanted, but it was what we would have to accept,” said Richard M. Barran, a resident who lives nearby, of the tree's removal. 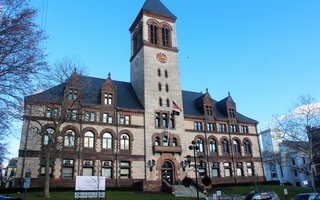 Last week, the Cambridge City Council delayed voting on a moratorium on cutting down trees for one year due to concerns over the lack of public input. The moratorium could prohibit the University from taking down trees if it is passed in the future. Frederick R. "Fred" Meyer — a Divinity and Law School alumnus — moderated the council and said the meeting brought together members of the community to facilitate conversation about the scheduled felling of the tree and the University’s renovation plans. “People listen to each other, and there was some bad news that surprised me. But I think people took it very well because Harvard has done its part in getting further research and getting another arborist,” Meyer said. The meeting's participants raised multiple questions about the possibility of maintaining the tree instead of removing it. They also asked about a replacement tree and Harvard’s procedures for preserving its tree canopy. Mediation techniques – including pruning, cabling, bracing, and transplantation – will not work due to the tree’s condition, Balon said. Divinity School spokesperson Michael P. Naughton wrote in an emailed statement that the Divinity School has a long comittment to "sustainability and resilience." "Throughout the past decade, it has contributed significantly to the tree canopy of Cambridge by planting 123 trees across its campus, while only removing four unhealthy and potentially unsafe trees,” he wrote. —Staff writer Ruoqi Zhang can be reached at ruoqi.zhang@thecrimson.com. Follow him on Twitter @RuoqiZhang3.